Wholesale inflation eased for the third straight month as it fell to 3.15 per cent in November after subdued demand due to demonetisation led to softening of prices of vegetables and other kitchen staples. The wholesale price index-based inflation, reflecting the annual rate of price rise, in October stood at 3.39 per cent. In November 2015, the print was (-)2.04 per cent. WPI inflation in vegetables, at (-)24.10 per cent in November, saw deflationary pressure for the third consecutive month. This was helped by a substantial price fall in onions, which stood at (-)51.51 per cent. 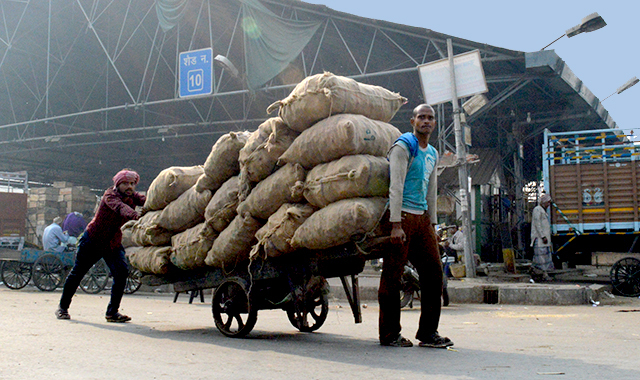 Pulse inflation continued to rule high at 21.73 per cent in November, according to commerce ministry data. Potato recorded maximum inflationary pressure at 36.97 per cent. Inflation in fruits rose to 2.45 per cent during the month. Overall, the food inflation basket showed moderation with inflation at 1.54 per cent in November as against 4.34 per cent in October. The reading for manufactured articles was 3.20 per cent compared with 2.67 per cent in the previous month. The corresponding figure for sugar came in at 31.76 per cent and that of petrol 5.54 per cent. The WPI inflation for September has been revised upwards at 3.8 per cent against the provisional estimate of 3.57 per cent. The decline in wholesale inflation coincides with a fall in retail inflation, which hit a two-year low of 3.63 per cent in November. The monetary policy committee headed by RBI Governor Urjit Patel had earlier this month held interest rates steady and said demonetisation of high value currency notes could lower prices of perishables and reduce CPI inflation by 10-15 basis points by December. Even as RBI maintained 5 per cent inflation target for March 2017, it trimmed GDP growth forecast to 7.1 per cent, from 7.6 per cent, for the current fiscal.